GENEVA, Switzerland, May 12, 2014 (ENS) – Air quality in cities worldwide fails to meet World Health Organization guidelines for safe levels, putting millions at greater risk of respiratory disease, lung cancer and other serious, long-term health problems, the health agency said, releasing new data this week. About half the residents of reporting cities are exposed to air pollution at least 2.5 times higher than World Health Organization Air Quality Guideline levels. 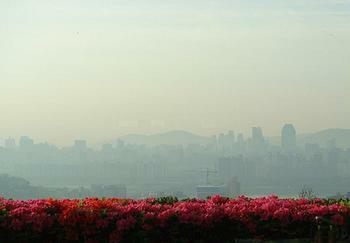 Only one in every eight people living in reporting cities breathes air that complies with the levels WHO recommends. WHO’s new Urban Air Quality database covers 1,600 cities across 91 countries – 500 more cities than the previous database issued in 2011, showing that more cities are monitoring outdoor air quality, with growing recognition of air pollution’s health risks. The database covers the period from 2008 to 2013, with the majority of values for the years 2011 and 2012. In most cities where there is enough data to compare today’s air quality with that of previous years, the data show that air pollution is getting worse. 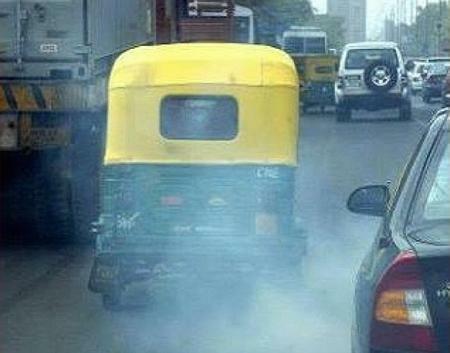 Some of the most polluted cities are: Dakar, Senegal; Mexico City, Karachi, Pakistan; Delhi, India, Ulaanbataar, Mongolia and Seoul, South Korea. WHO officials point to the many factors that contribute to this increase – reliance on fossil fuels to generate electricity, dependence on private motor vehicles; inefficient use of energy in buildings, and the use of biomass for cooking and heating. Some cities are making improvements, the WHO database indicates, demonstrating that air quality can be improved by such measures as banning the use of coal for heating buildings, using renewable or clean fuels for electricity production, and improving the efficiency of vehicle engines. “Effective policies and strategies are well understood, but they need to be implemented at sufficient scale,” said Dr. Maria Neira, WHO director for Public Health, Environmental and Social Determinants of Health. “Cities such as Copenhagen and Bogota, for example, have improved air quality by promoting ‘active transport’ and prioritizing dedicated networks of urban public transport, walking and cycling,” she said. WHO is calling for greater awareness of the health risks caused by air pollution, implementation of effective air pollution mitigation policies; and close monitoring of the situation in cities worldwide. In April, WHO issued new calculations estimating that in 2012 outdoor air pollution was responsible for the deaths of some 3.7 million people under the age of 60. Releasing these figures, WHO emphasized that indoor and outdoor air pollution combined are among the largest risks to health worldwide. There are many components of air pollution, both gaseous and solid. But high concentrations of small and fine particulate pollution are linked most closely with high numbers of deaths from heart disease and stroke, respiratory illnesses and cancers. Measurement of fine particulate matter of 2.5 micrometers or less in diameter (PM2.5) is the best indicator of the level of health risks from air pollution, WHO doctors say. In high-income countries, 816 cities reported on PM2.5 levels with another 544 cities reporting on PM10, from which estimates of PM2.5 can be derived. But in low-and middle income countries, annual mean PM2.5 measurements came in from just 70 cities; another 512 cities reported on PM10 measurements. The report observes that individual cities can take local action to improve air quality. When they do, economic development flourishes, as shown by some big cities in Latin America which meet, or approach, the WHO Air Quality guidelines. “We cannot buy clean air in a bottle, but cities can adopt measures that will clean the air and save the lives of their people,” said Dr. Carlos Dora, co-ordinator, Interventions for Healthy Environments, in the WHO Department of Public Health, Environmental and Social Determinants of Health. Measures that work include ensuring that houses are energy efficient, that urban development is compact and well served by public transport routes, that street design is appealing and safe for pedestrians and cyclists, and waste is well managed. The new database was compiled from official national and sub-national reports, national and sub-national websites containing measurements of PM10 or PM2.5, relevant national agencies and the Asian Clean Air Initiative for Asia, and Airbase for Europe. Data from UN agencies, development agencies, and articles from peer reviewed journals also were used. Despite the upswing in air quality monitoring, many cities in low and middle income countries still lack capacity to do so. There is a particular shortage of data in WHO’s Africa and Eastern Mediterranean regions. The release of this new database on May 7 is one step WHO is taking toward a plan for preventing diseases related to air pollution. This involves the development of a global platform on air quality and health to generate better data on diseases related to air pollution and strengthened support to countries and cities through guidance, information and evidence about the health gains associated with cleaner air.